On 2/28, I was, once again, without camera, but have to say I’m pretty satisfied with what my phone did manage to capture. I went to Best Buy Theater for The American Dream Tour, enduring an hour in the literally freezing cold before managing to get inside. 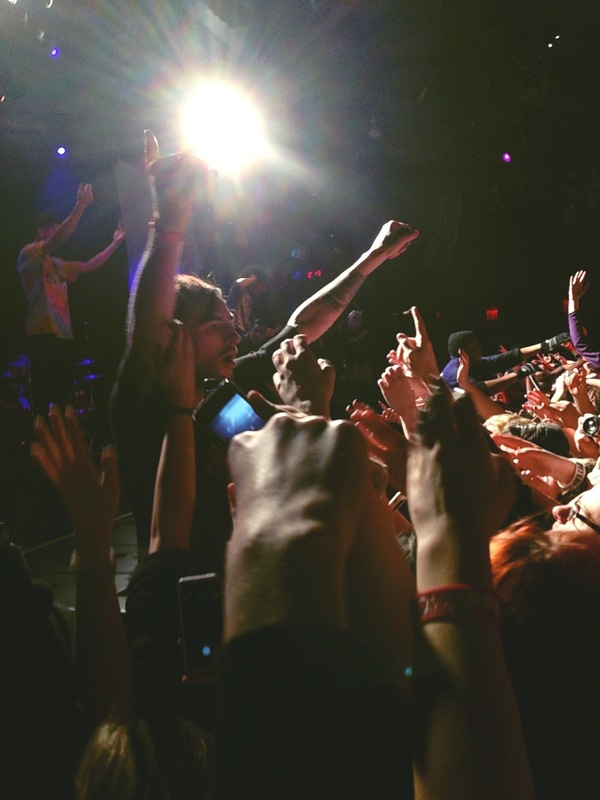 The venue was packed for the night’s sold out show. After a long period of confusion, during which the crowd managed to spot BryanStars in the balcony, Northlane was finally on as the opener. The Sydney based metalcore band had a strong set, closing with “Quantum Flux,” a definite crowd pleaser. 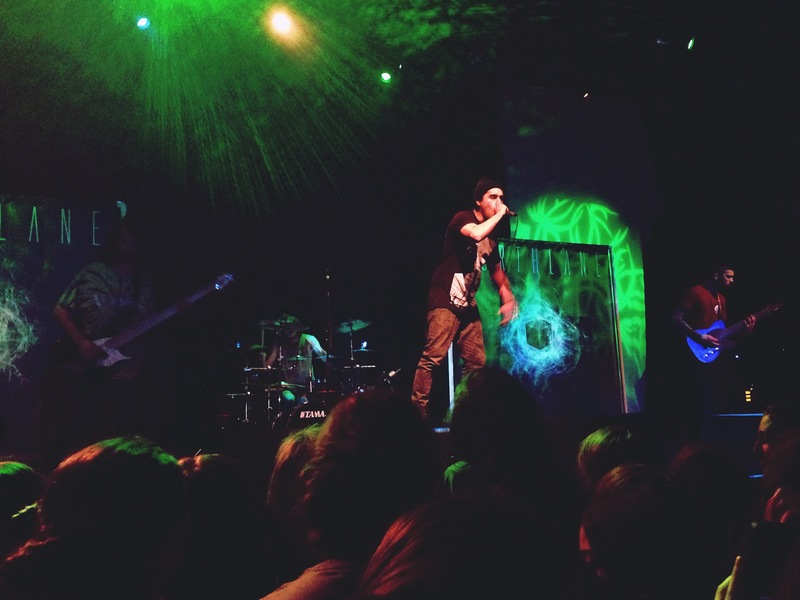 Next was ISSUES, featuring a bright neon stage set up on their equipment. They played songs from their new album, including “The Settlement” and “Stingray Affliction.” Tyler Carter’s vocals have only gotten better since his days in Woe, Is Me, as have Michael Bohn’s. They had a live turntable set up for the scratches and electronic components of their songs, manned by Ty Acord. 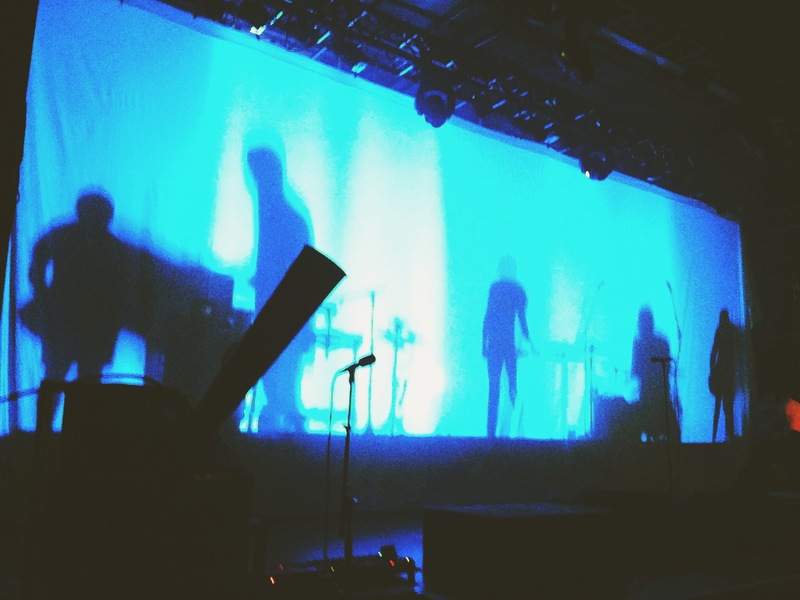 They had an energetic set, which, for myself and most of the crowd, felt much too short. 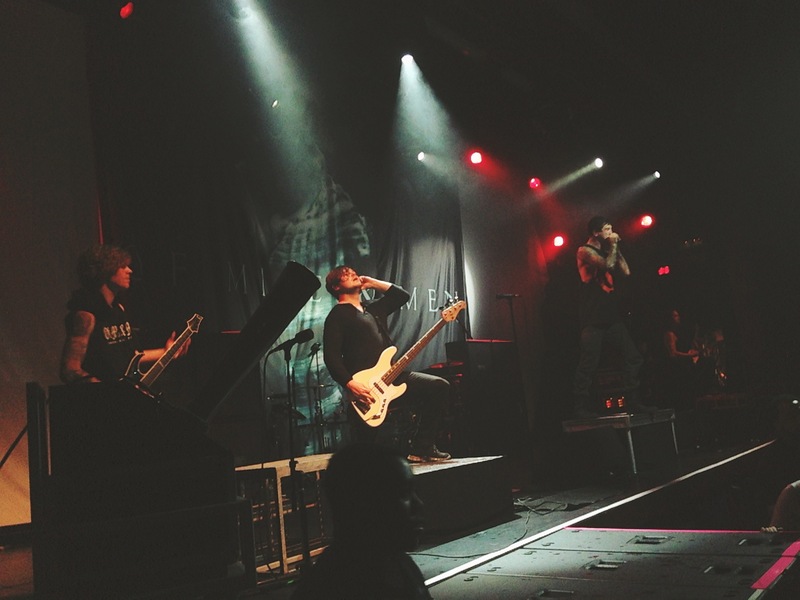 Next was Of Mice & Men, with a backdrop of their new album artwork for Restoring Force. 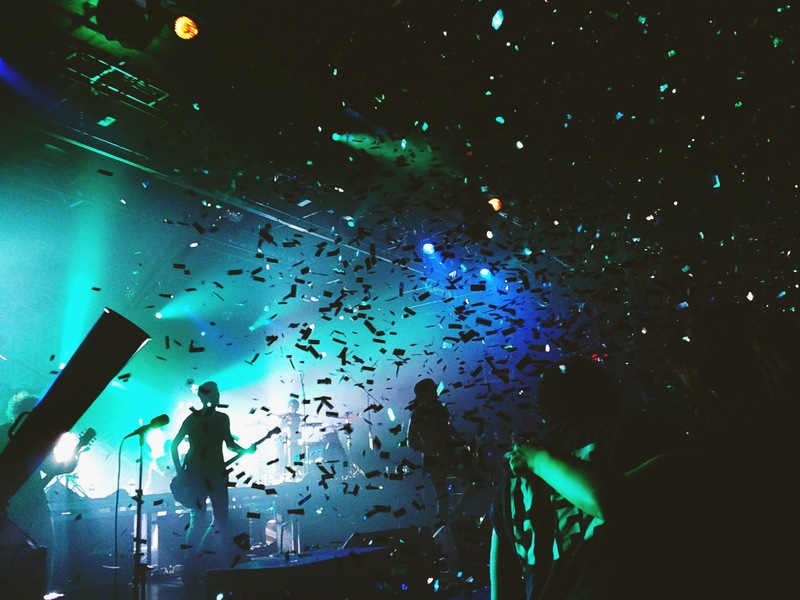 They had a mix of songs from their new album as well as The Flood, but disappointingly, songs from their self-titled were nowhere to be seen. 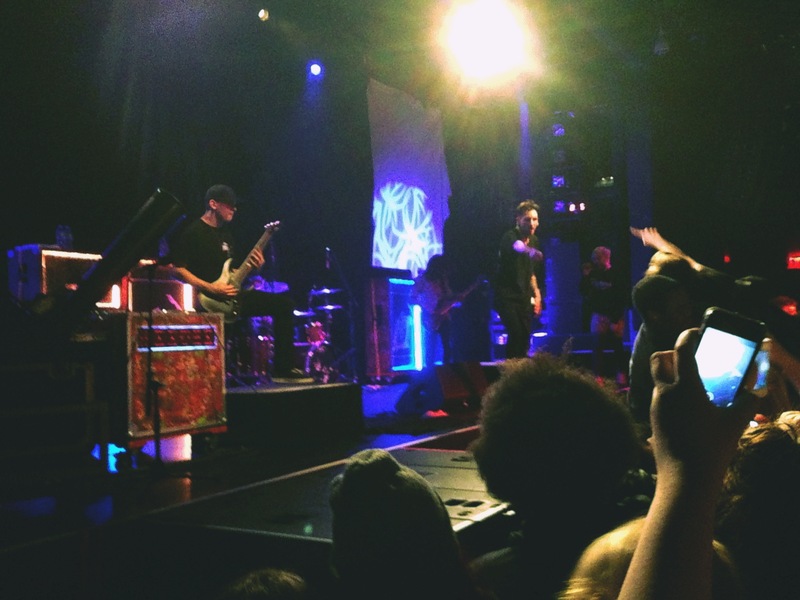 Aaron Pauley proved his vocal capabilities on both their new and old songs, and singer Austin Carlile’s stage presence was powerful and interactive as always. Their set too felt too short, but they managed to pack an immense amount of energy into a short amount of time. 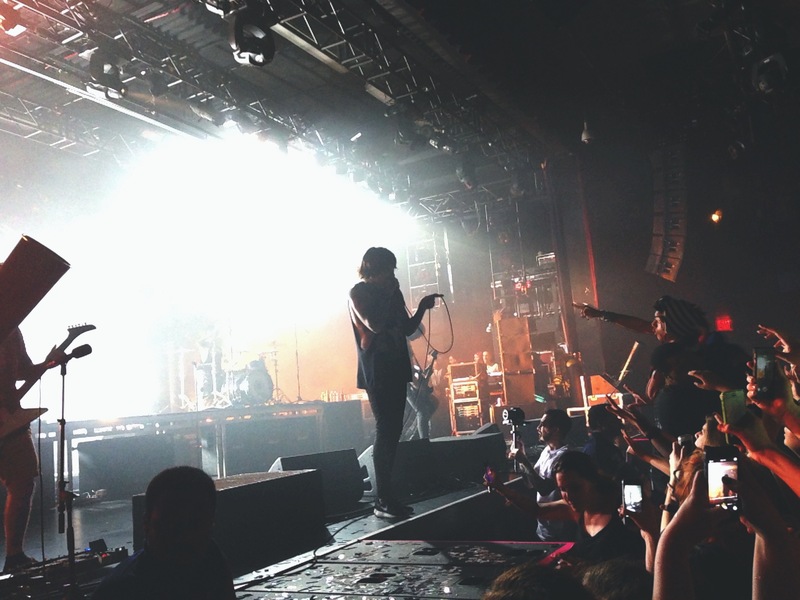 The crowd had been becoming progressively more aggressive during this time, and during Bring Me The Horizon’s soundcheck people were rushing to leave the sea of people. 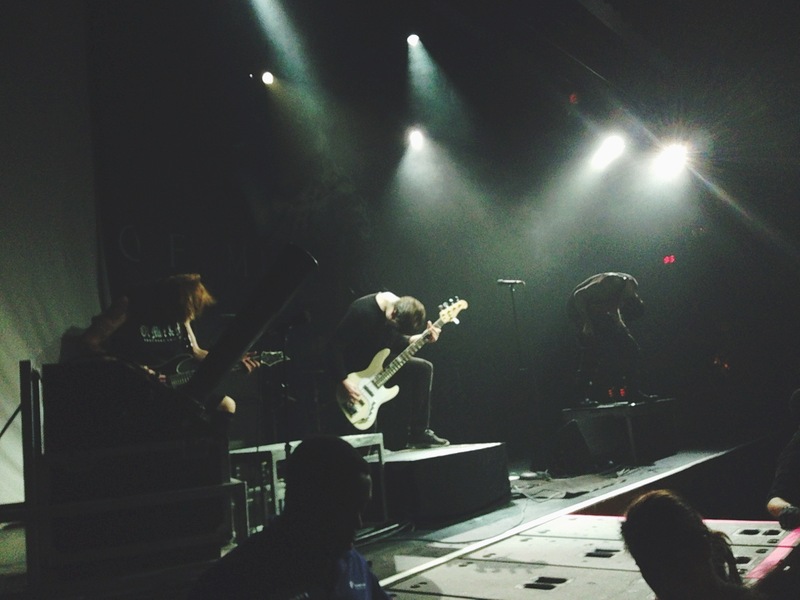 They opened from behind a large sheet that had previously been behind Of Mice & Men’s backdrop, using strobe lights and smoke to create shadows from behind the sheet. 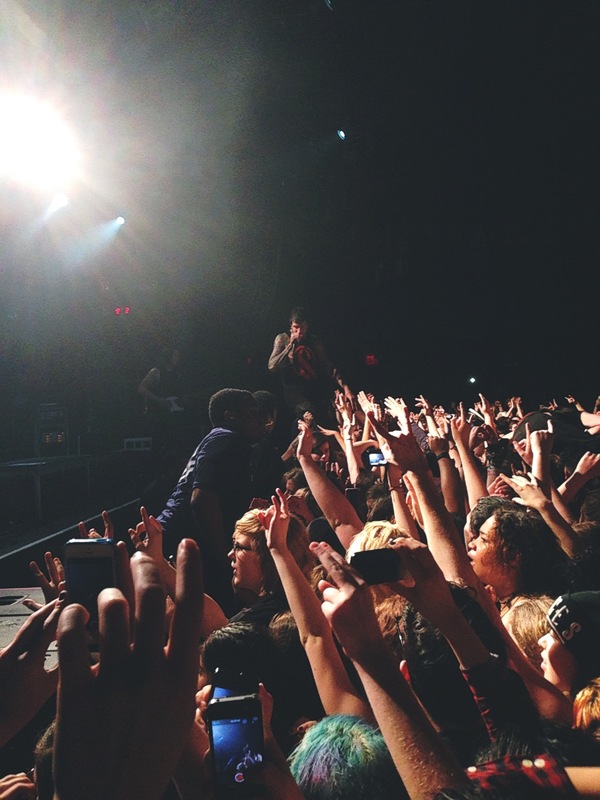 Oli Sykes chastised the crowd’s use of their phones during the first part of the set, encouraging that we live in the moment instead of behind our screens. 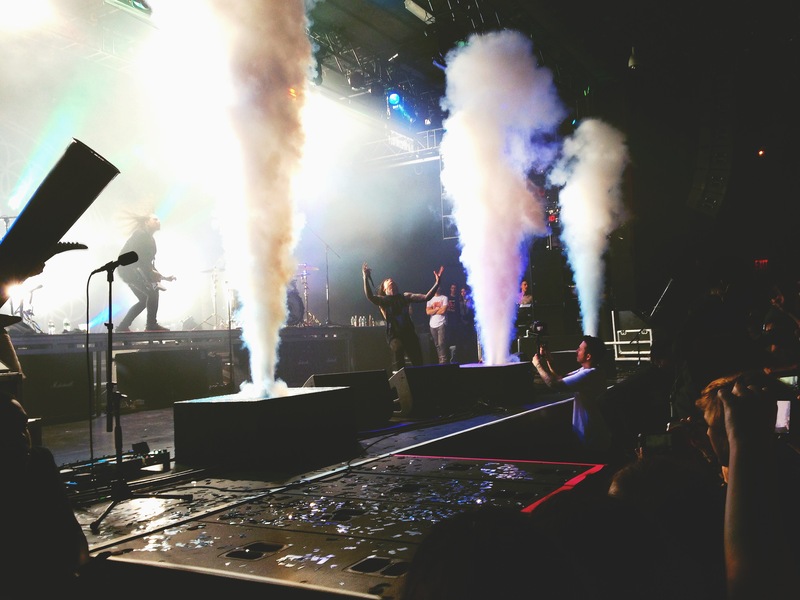 They used smoke and confetti cannons throughout their set, along with a fast paced light show in the background. They closed with “Sleepwalking” and more blasts from the confetti cannon, putting on a frenzied, high energy show as always. 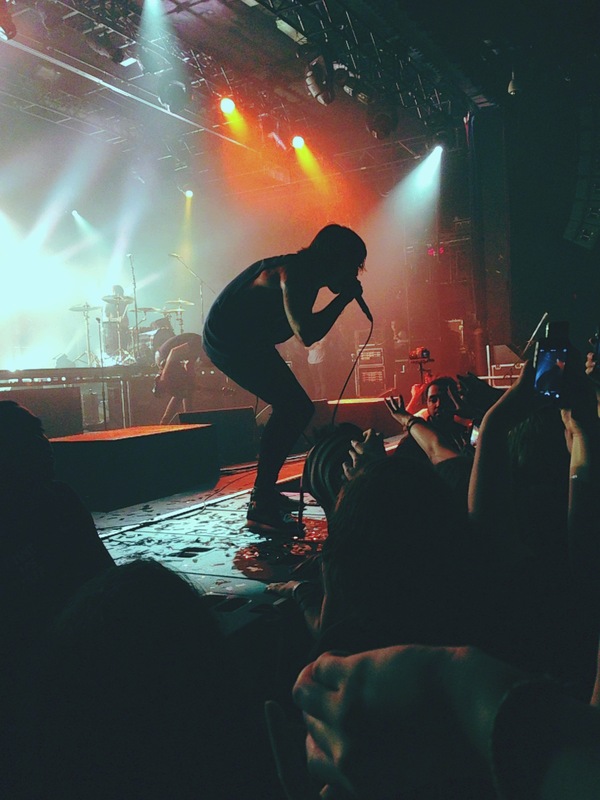 People have criticized Sykes’s live performance in the past, but his vocals on the new album Sempiternal certainly prove how much his range and vocal quality have improved, along with how dynamic they truly are. 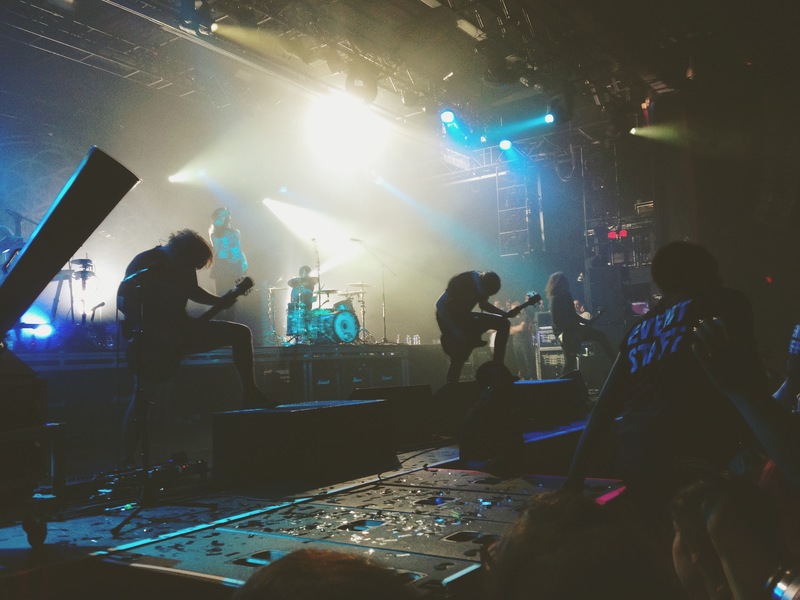 Having seen both Of Mice & Men and Bring Me The Horizon before this review may be admittedly biased, but this was truly an incredible show, and the next day’s soreness was most definitely worth it. web. I most certainly will recommend this web site!